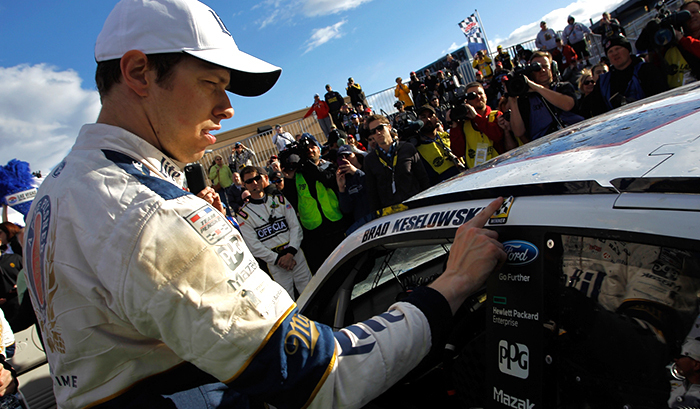 Not wind nor (dust) storm could keep Brad Keselowski out of Victory Lane on Sunday. Keselowski passed Kyle Busch to take the lead with six laps to go, and held on the rest of the way to earn his first win in 33 races. Teammate Joey Logano, who led 74 laps on Sunday, was happy for the 1-2 Penske finish, but admits he's anxious to get back into the winner's circle himself. "Gosh, we finished second so many times, Daytona and qualifying. We will go get them next week. … I know we are only three races in, but I am getting antsy." We remember Logano feeling similarly earlier this season. You've seen what they'll be driving- and now you can see what they'll be wearing. 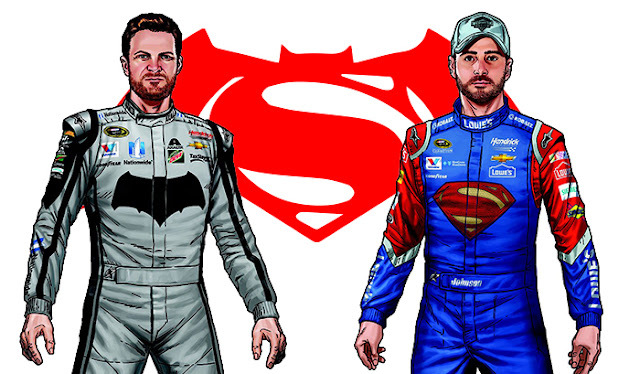 Hendrick Motorsports released images of the Batman and Superman-themed firesuits Dale Earnhardt Jr. and Jimmie Johnson will be wearing for the #HeroFaceOff at Auto Club Speedway later this month. The sports community bid adieu to one of the all-time greats this week, as Peyton Manning announced his retirement from the NFL after 18 Hall-of-Fame caliber seasons. 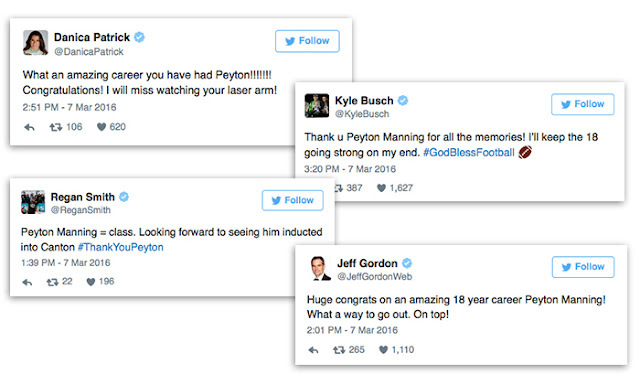 The NASCAR world took notice, as current and former drivers took to the Twittersphere to pay their respects to the two-time Super Bowl Champion and five-time NFL MVP. “He’s somebody I really admire and look up to and have the utmost respect for. I’m glad he’s done all this on his terms," said Tony Stewart, who plans to retire from driving full-time at the conclusion of the 2016 NASCAR season. 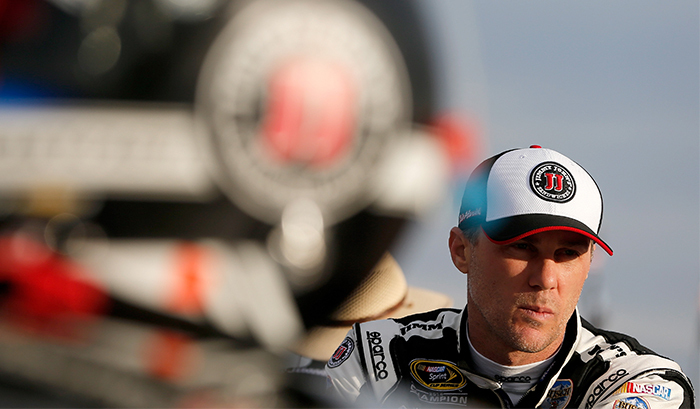 If you bet against Kevin Harvick at Phoenix, odds are you're going to lose. But despite the fact he's won five of the last seven contests in the desert (including four in a row from 2013 - 2015), Harvick is keeping things in perspective as he prepares for this weekend. "You go there with a fresh start, like you’ve never won there before," said Harvick, who's currently tied for second place with Jimmie Johnson in the early-season standings - seven points behind Kyle Busch. "The hardest thing about having success is that you must have an open mind to try new things and keep moving forward. If you don’t, and aren't willing to try a fresh approach, it will get stagnant. You’re going to become stale and get left behind." "I'm picking Carl Edwards because I love his backflip when he wins! And it doesn't hurt he's really good looking. Go Carl!!" "Jimmie Johnson. 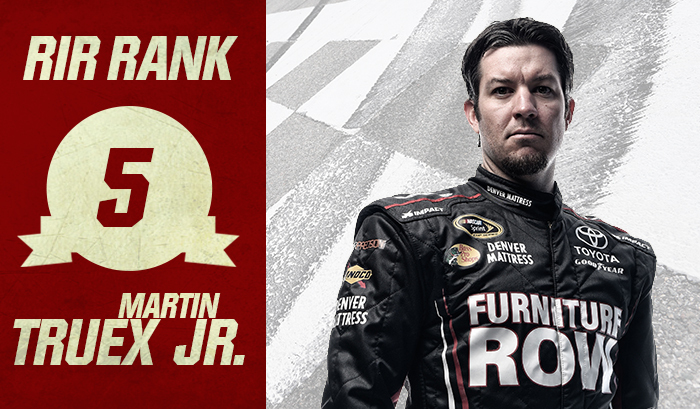 Power of the J's"
"I'll go with Martin Truex Jr. He's a Philly sports fan like me." "Car numer 78 - because he's the only one in the football offensive lineman range." 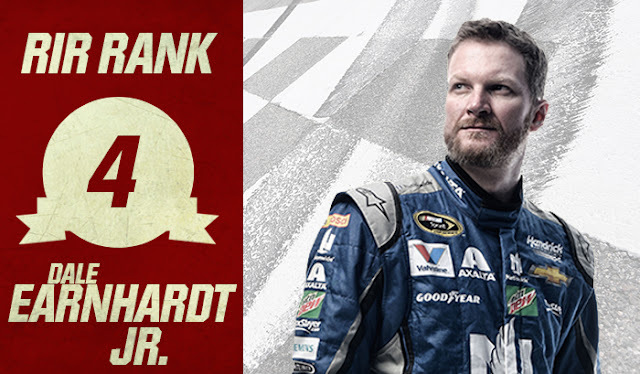 "I am going with Ralph Dale Earnhardt, Jr. because like Nationwide, I'm on his side." "Dale Earnhardt Jr. because 8+8=16! Mathematically, it's his year!" "Joey Logano. He wants that redemption from last year- and a championship would be a pretty good way to ring in Team Penske's 50 years." "Joey Logano, because 22 is also the name of my favorite Taylor Swift song." 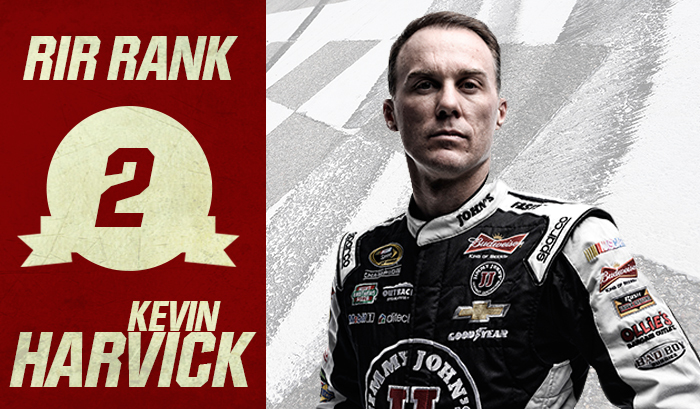 "I pick Kevin Harvick because I love Jimmy John's and he drives the Jimmy John's car. I get it delivered to my house probably every two weeks!" "I've got to go with Kevin Harvick. I love his nickname 'Happy Harvick,' he has an awesome wife and my favorite number is 4!" "This is my first internship with NASCAR, so I decided to go with my favorite number, 11. I'm also a huge Redskins fan and he races for former coach Joe Gibbs." 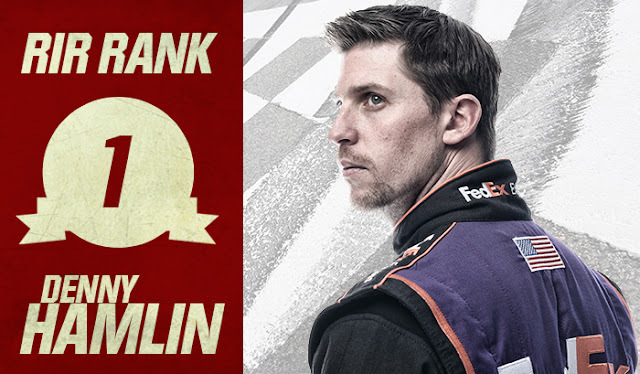 "Hamlin, because I would like to throw a big Champion's celebration in town!"